There are a few artists that it can be hard to cover on a singing competition series; Adele is near the top of the that list. 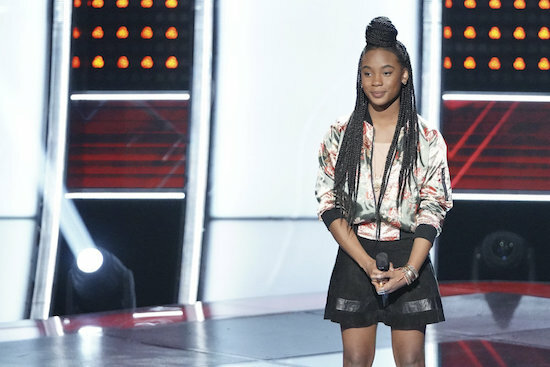 But 13-year-old Kennedy Holmes wasn’t intimidated by the challenge…and she absolutely killed her blind audition. Not only did Holmes’ take on “Turning Tables” earn her a four-chair turn, the young woman also got to check another item off of her bucket list: she sang “I Am Changing” with Jennifer Hudson (who sang the tune in DREAMGIRLS). Did you miss Holmes audition? Watch it now!